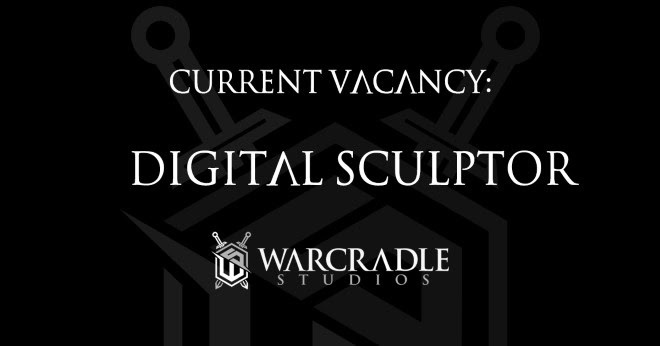 Warcradle Studios are currently looking to fill several positions within their expanding company. If you feel you could fill any of these roles then this could be the dream job of a lifetime. Warcradle Studios is one of the fastest growing new companies in the British games industry, with games such as Wild West Exodus and the upcoming Dystopian Wars. So if you think that you have what it takes to work for a professional games company, and are able to meet deadlines, work under pressure and be a part of a great team; then get in touch! 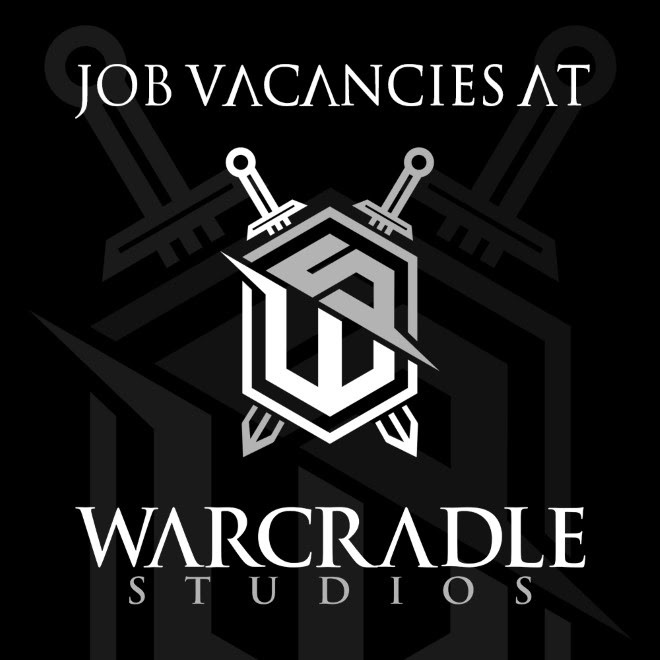 Interested in working for Warcradle Studios? We are looking for dynamic, forward-thinking and creative people to work for us. We offer competitive salaries, staff perks such as great discounts, travel opportunities, and promotional opportunities for the right individuals. 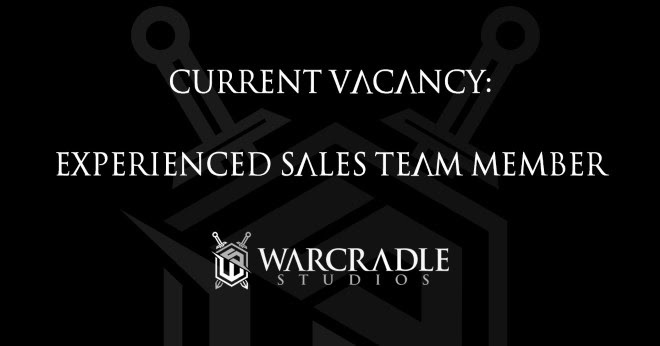 With that in mind, take a look at our current vacancies and see if it’s your time to join the Warcradle Studios team! GET YOUR WARGAMING CAREER STARTED! You’ll be involved in the concept and development stage of miniature design as well as using your skills to help bring those concepts to a finished product. The candidate will need to demonstrate their experience and skills with digital sculpting and design using either zBrush or Freeform software. The role responsibilities include contacting existing retail customers to make them aware of new product releases, processing their orders and responding to any queries they may have. Contact with potential new retail customers, and making them aware of the products and services that the company offers is another of the primary goals of this position. 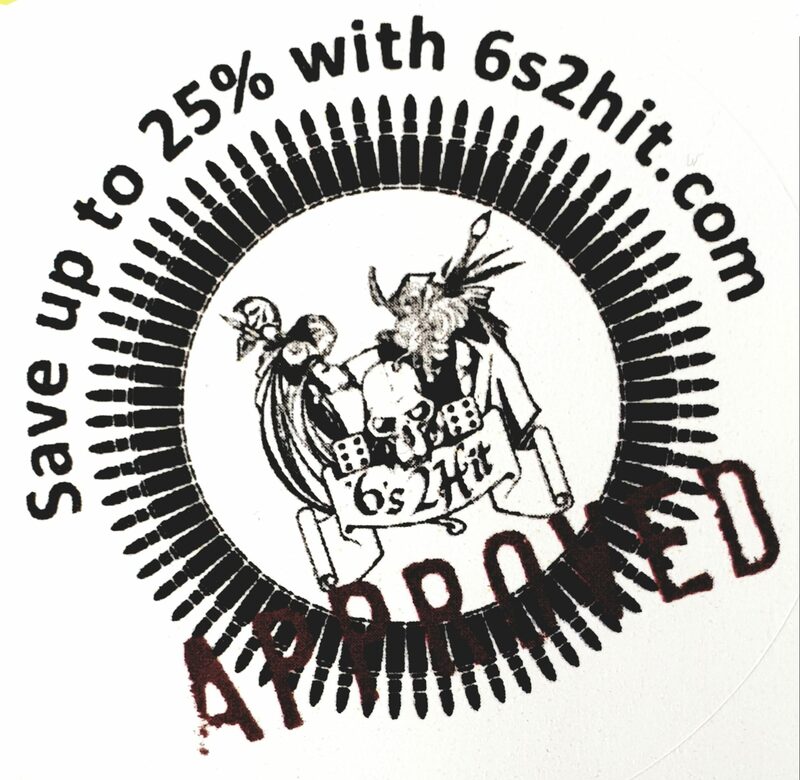 There will also be the need for trade show and convention attendance both in the UK and abroad. 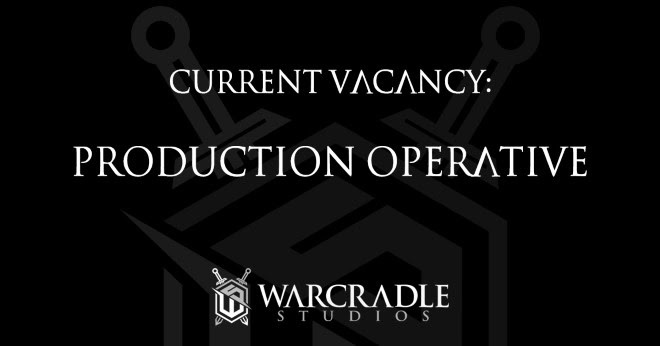 Warcradle Studios are looking to expand their production facility with a Production Operative. In thie role you will be part of the manufacturing team, learning how models come to be through the manufacturing process. The right candidate will be involved in one or more of the steps of our production process, enabling products to be delivered to customers world-wide. 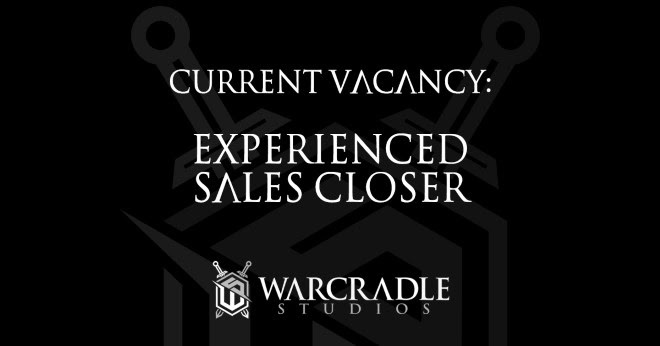 Warcradle Studios are looking to expand their busy sales team with an experienced sales closer. Working as part of our sales team, the successful candidate will be responsible for supporting and growing our retailers across the United Kingdom and Europe.